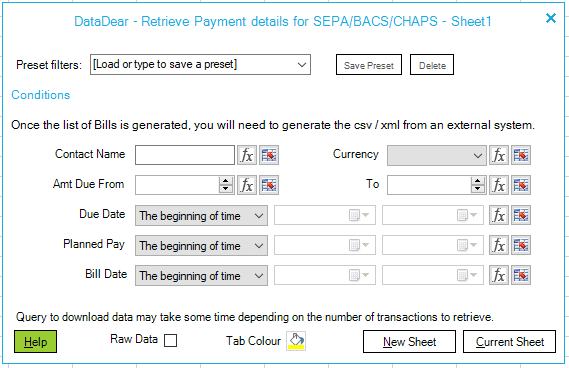 The data downloaded in Excel is bank friendly – this list will then need to be exported as csv or converted into XML (using an external tool such as SepApp) before sending for payment with the bank . Each bank will have different requirements when it comes to accepting lists for batch payments. For more information about this new bill batch payment report, a knowledgeable article has been published. ability to upload multiple sheets – hence any linked sheets can also be uploaded. 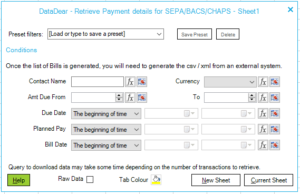 For more information on how to use the uploading of sheets, a knowledgeable article has been published. The DataDear API, is gaining some interesting momentum – last month a new web page for developers has been published to showcase the advantages of using this api. This month, the team has been working on a github page with contains a sample .NET application and some examples. The github page is expected to be published shortly. The integration with QuickBooks will be completed with the ability to POST in bulk – the first release will have the option to post journals and eventually there will be the edit functionality. Other templates will follow.